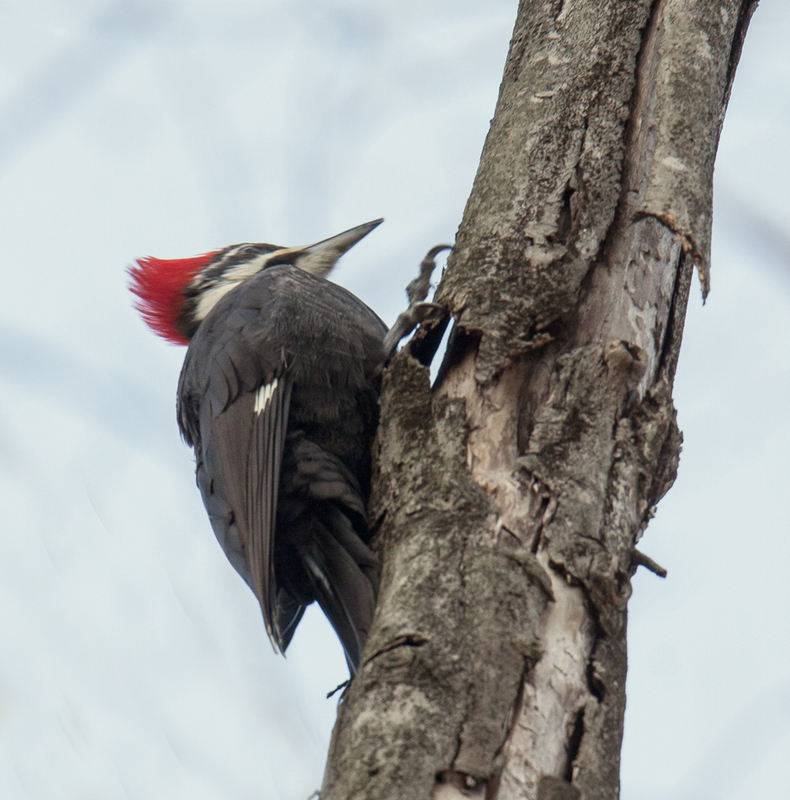 It’s nice to be back home from my recent overseas trip and to have the chance to go out in the wild for some photos. 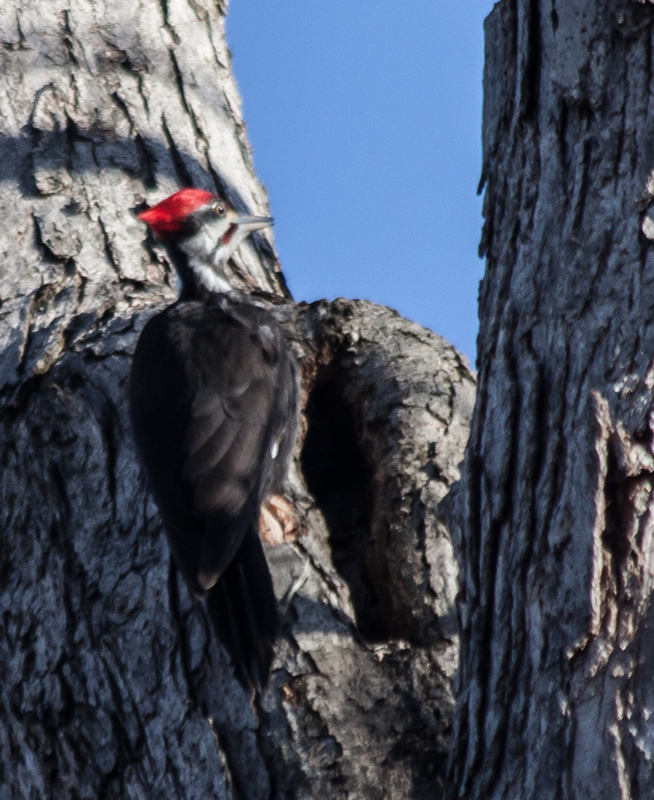 Urban shooting is ok, but somehow I feel more comfortable chasing after wildlife. 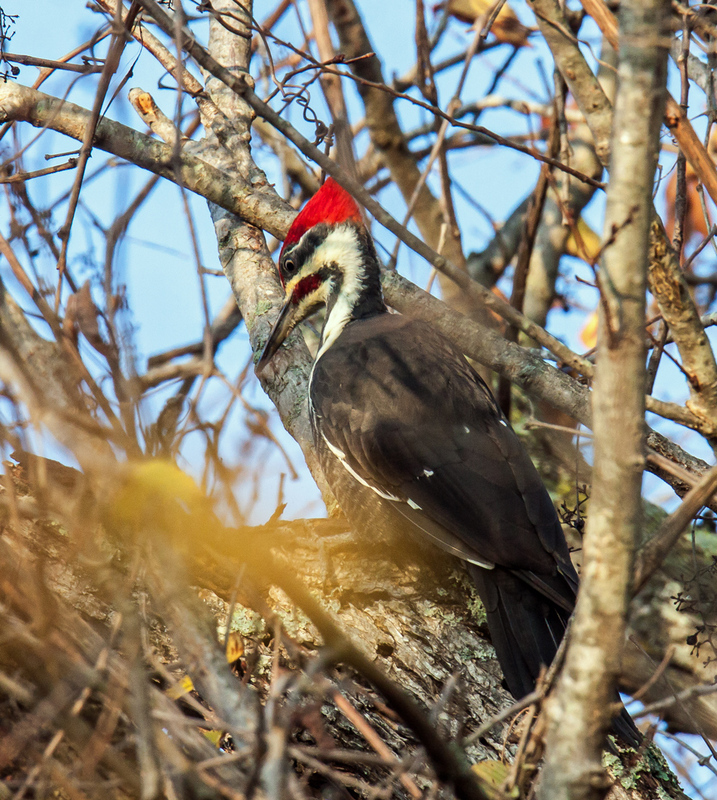 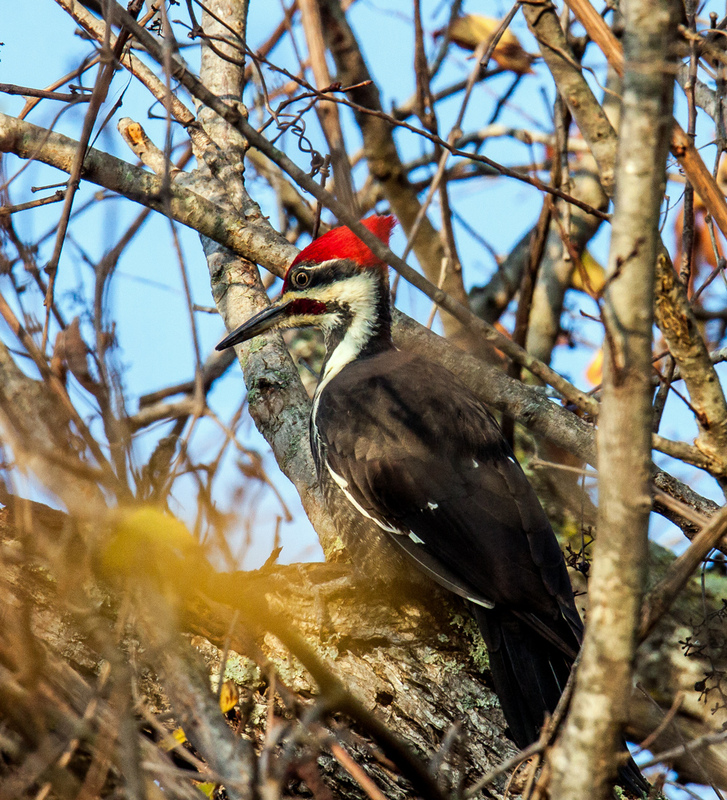 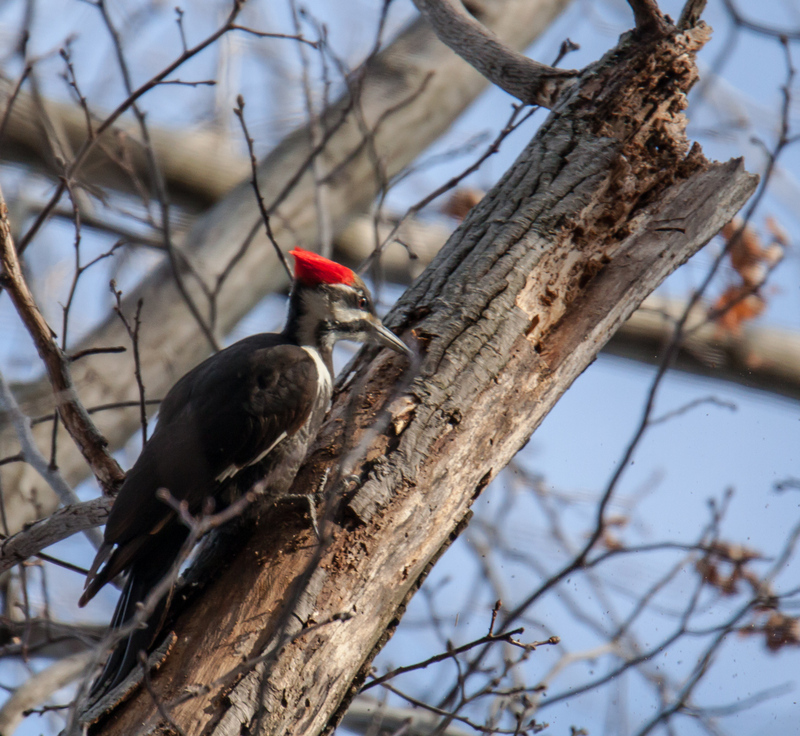 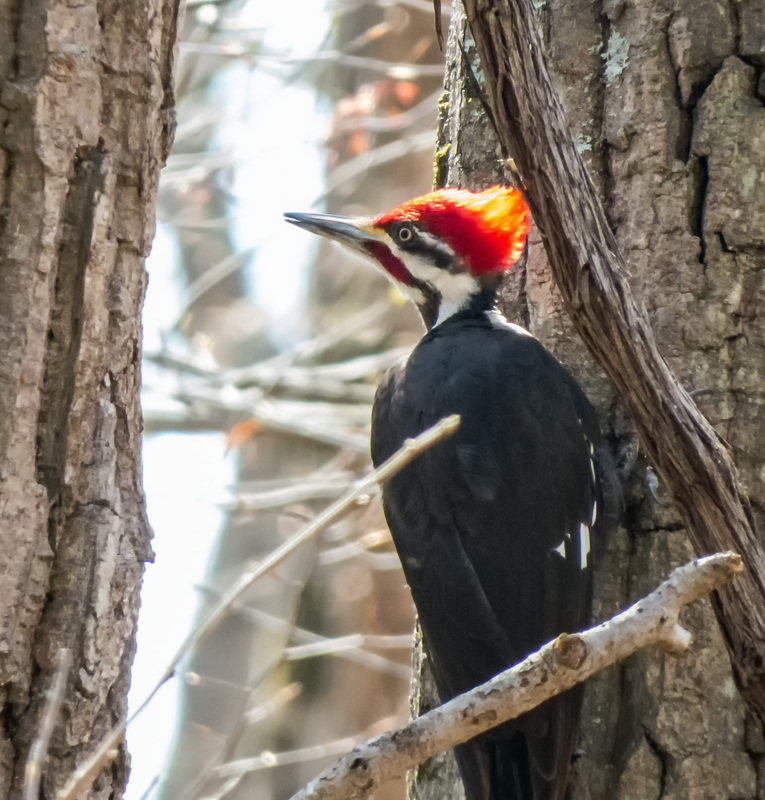 Yesterday I spotted this Pileated Woodpecker (Dryocopus pileatus) high in the trees at Huntley Meadows Park, the local marsh that is my favorite spot for wildlife shooting. 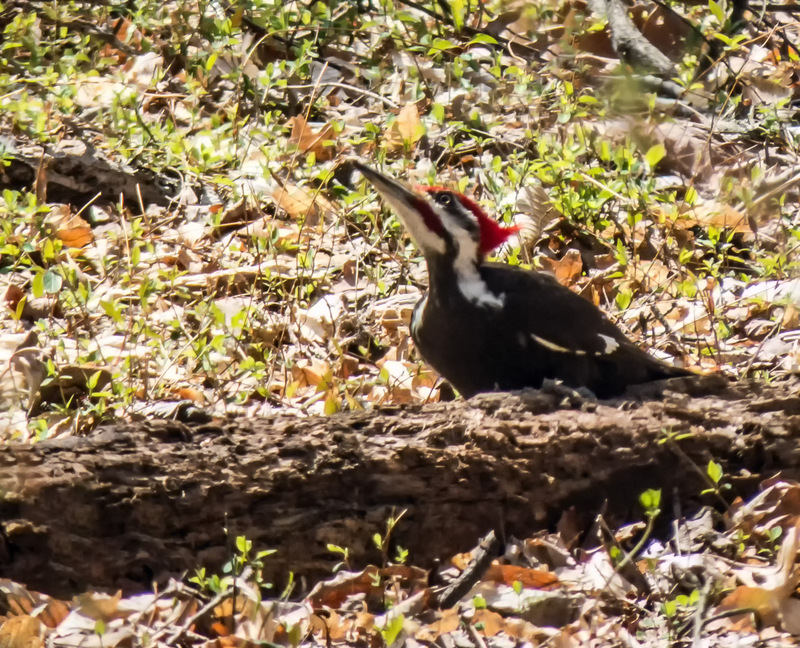 I’ve been trying for quite a while to get some good shots of this spectacular woodpecker and they are getting better, though they are not quite there yet. 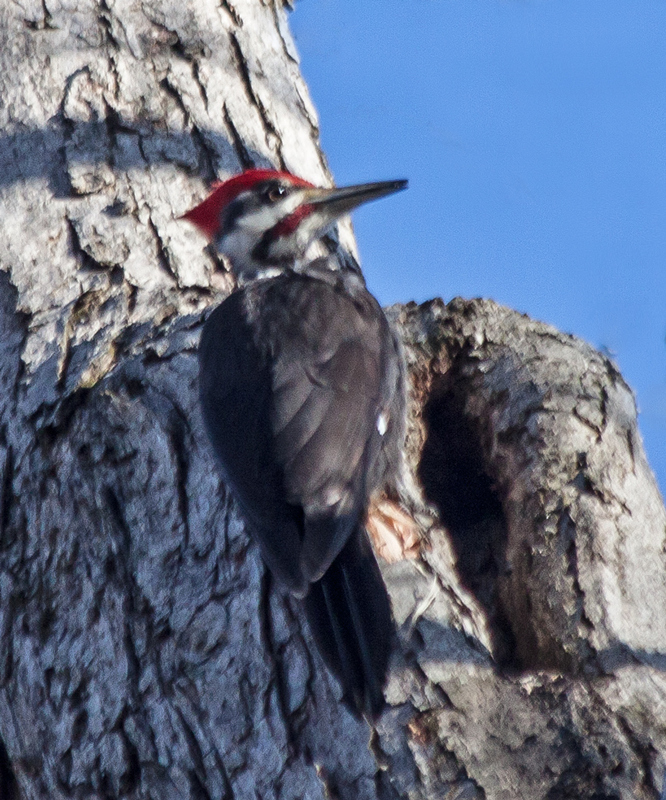 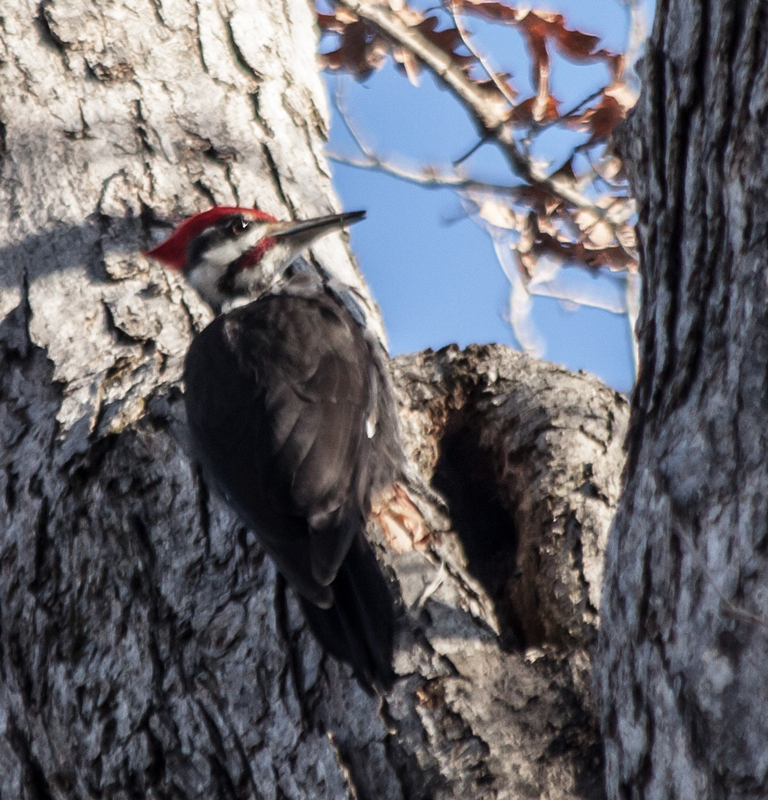 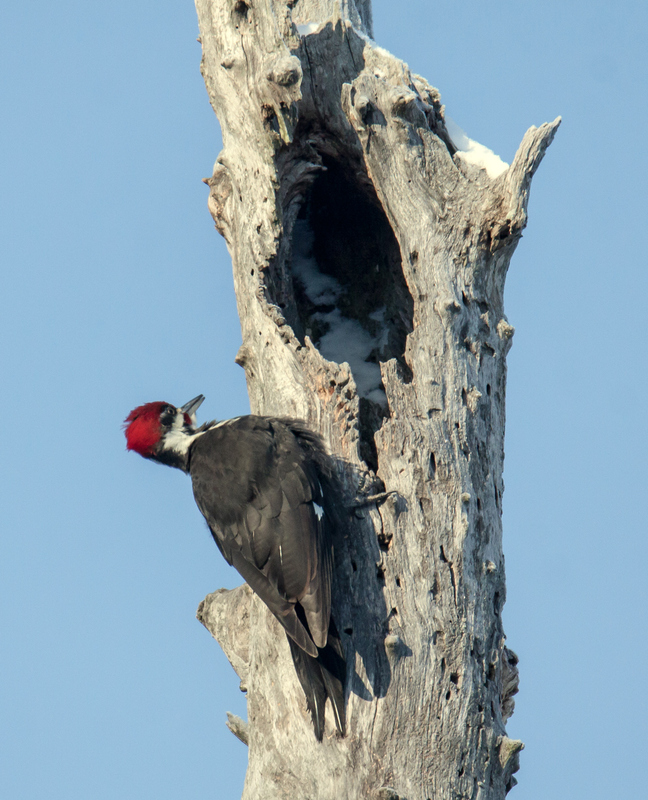 These two shots are part of a series that I took as the woodpecker moved its head from side to side as well as up and down, chiseling out a hole in the tree. 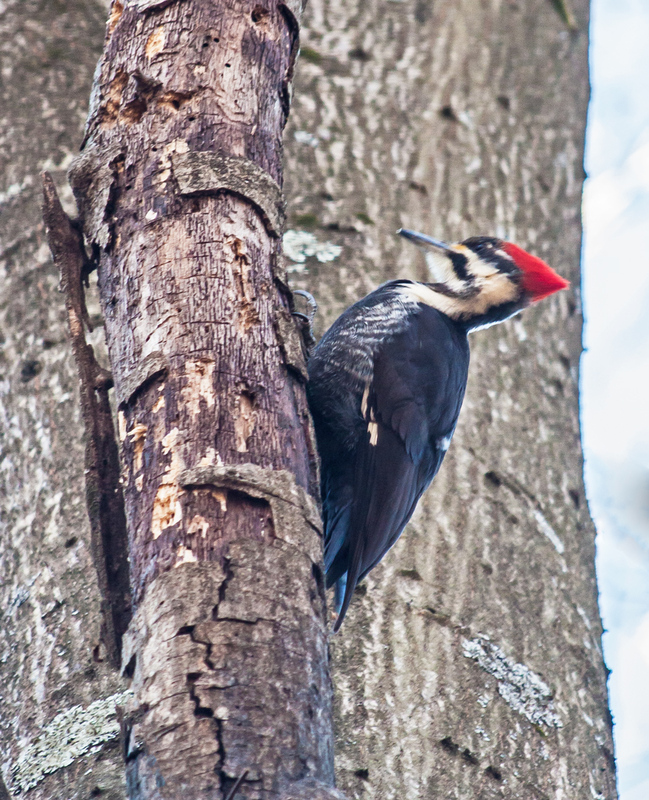 I was amazed to see how far back the woodpecker pulled its head before each stroke and the powerful force with which it struck—it was enough to give me a headache. 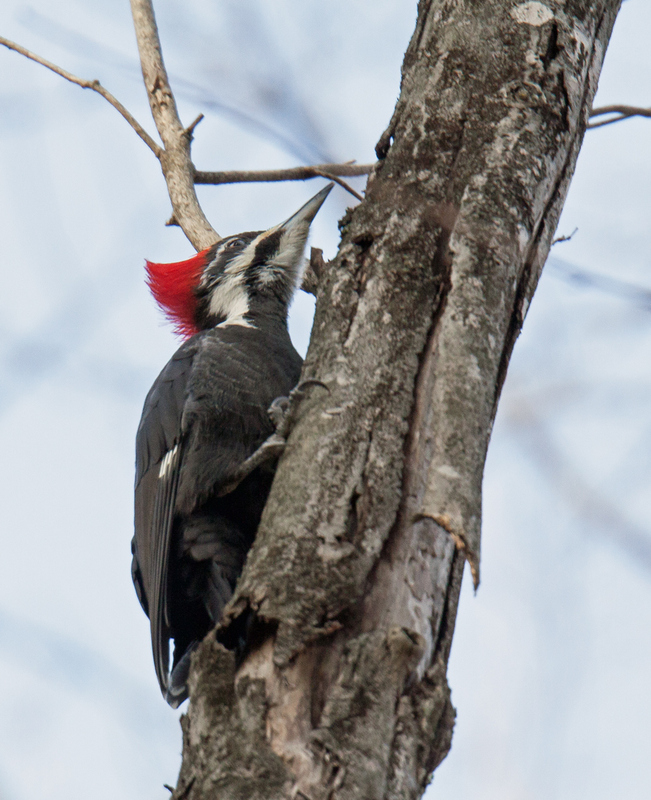 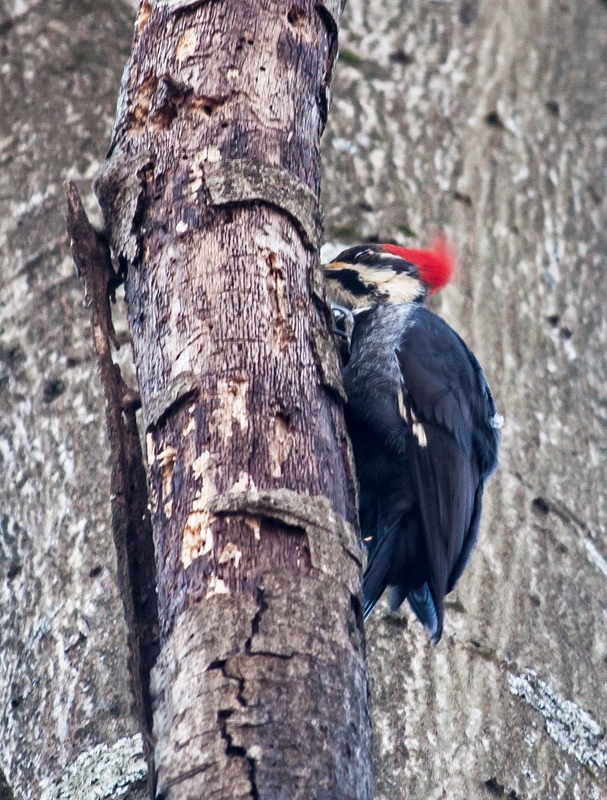 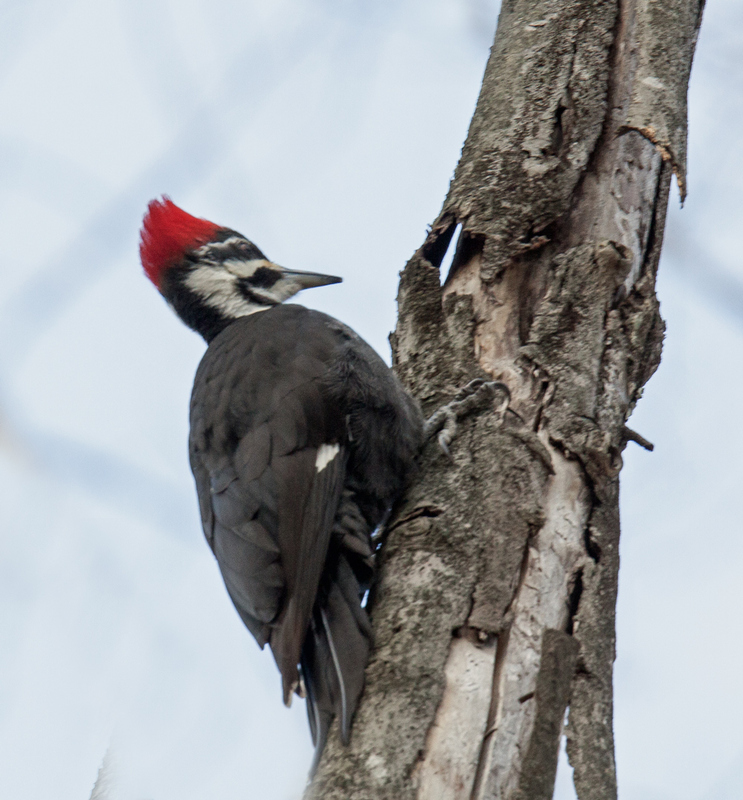 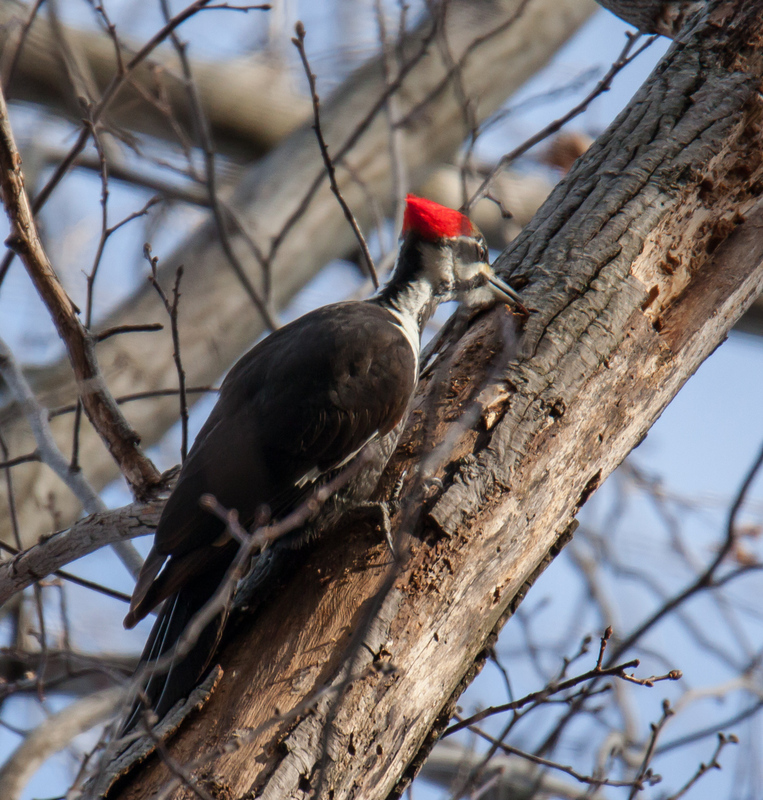 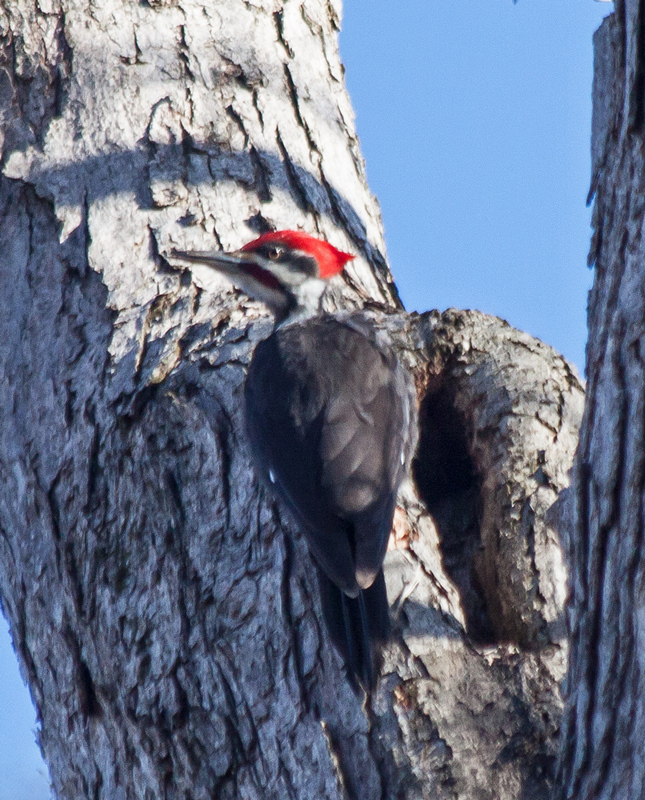 I’m still hoping that I will find a Pileated Woodpecker a bit lower in a tree (or working on a fallen log) in a location that will permit me to get some better shots, but I am content that I was able to get these shots when I caught sight of this woodpecker yesterday.